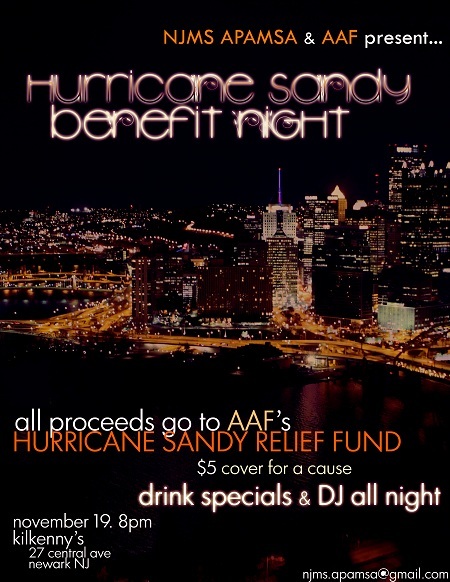 Hurricane Sandy Benefit Night on November 19, 2012 at 8 PM. What: Benefit Night for our Hurricane Sandy Relief Fund. Cost: $5 cover charge to benefit the Fund. Drink specials and DJ all night. For more info, contact njms.apamsa@gmail.com.